Kendra Kassebaum, known for her sparkling star turn as Glinda in Wicked, is headed back to Broadway for the first time in five years in the new musical Come From Away. Below, the effervescent actress describes her journey with the show and explains why she can’t wait to share it with New York audiences. Almost seven years ago, after 15 years in New York, I sold my apartment and moved to Seattle. The mountains there had always been a place of peaceful reflection for me, and the theater community is exciting and thriving. I actually happened to be in Seattle on 9/11, rehearsing a production of A Little Night Music at The 5th Avenue Theatre. It was comforting and healing to be surrounded by such loving peers and beautiful music at that time; my 9/11 experience in 2001 was a big reason I decided to make it my home later in life. 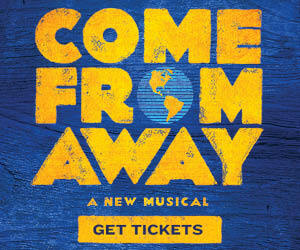 Fast forward to 2015, when I participated in a workshop for a new musical called Come From Away, directed by Christopher Ashley. 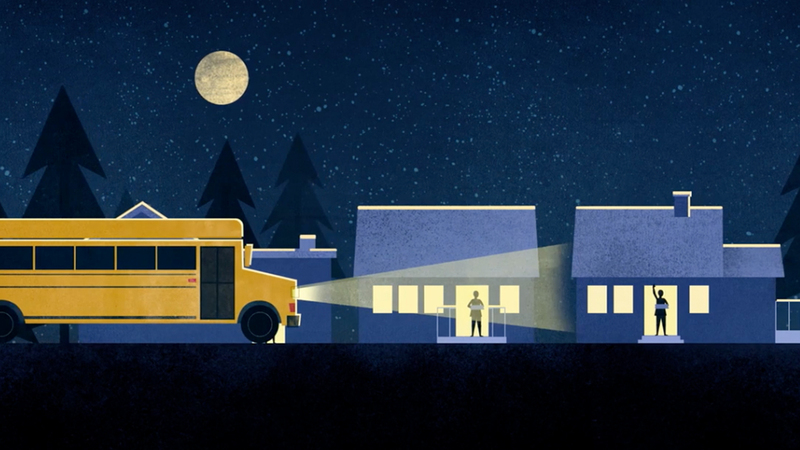 Unfortunately, the people of Gander’s story never made its way to me, but after reading this script about that small town in Newfoundland that took in almost 7,000 people after their planes were diverted and grounded on 9/11, I knew I had to be a part of this story. Their open hearts and kindness are antidotes for what we are dealing with today. They are the example. From the beginning, Chris had an exciting vision for how 12 actors could portray multiple characters in a 100-minute-long show. 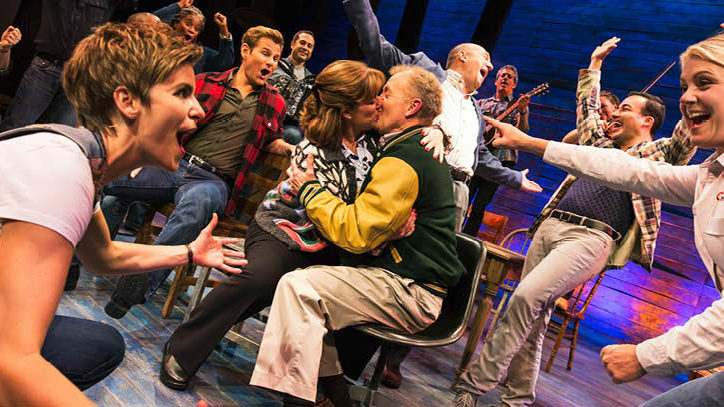 Come From Away has morphed and grown on its way to Broadway, but it’s one of those rare pieces that felt special from day one. The combination of the stories, the staging, and the music creates an experience that is as unique for the actors as it is for the audience. Come From Away is a true ensemble piece. Together we go through an incredible journey every performance — we have each other’s backs in the complicated chess game that ensues on stage. A gift that was given to all of us was our trip to Gander. We were actually given the opportunity to bring this show to these remarkable Newfoundlanders and celebrate them as a whole. All I can say is that I feel forever changed by spending time with these good people who embraced our show with laughter and tears. Gander truly is a little slice of heaven on earth. The hearts of these people left me wanting to be a better person. The love we experienced is something we will never forget. Not to mention the fact that I kissed a cod to become an honorary Newfoundlander! A very proud moment. 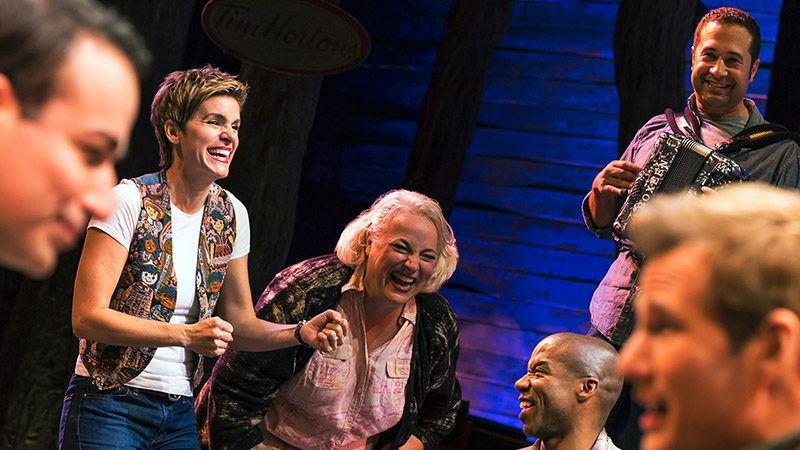 Every performance of Come From Away has been a communal event. We can feel the emotion flowing among everyone in the room (audience, cast, band, stage managers, spot operators, you name it), and the celebration at the end of the show is incredibly powerful. After a show, it is quite common for the lobby to stay full with friends and family, and even strangers sharing their stories and sharing what they experienced in the performance. Now, in a day in age when it’s quick to your car and quick to get home, that’s saying something. I never expected to come back to Broadway, but I joke that if New York is looking for you, it’s going to find you. When I auditioned for the Seattle workshop of Come From Away, I had a tiny baby boy, and it didn’t seem possible for me to embark on an extended journey with the show. But this story is important and I want my son to know that love wins, and if you are given an opportunity to help the human spirit, you do. 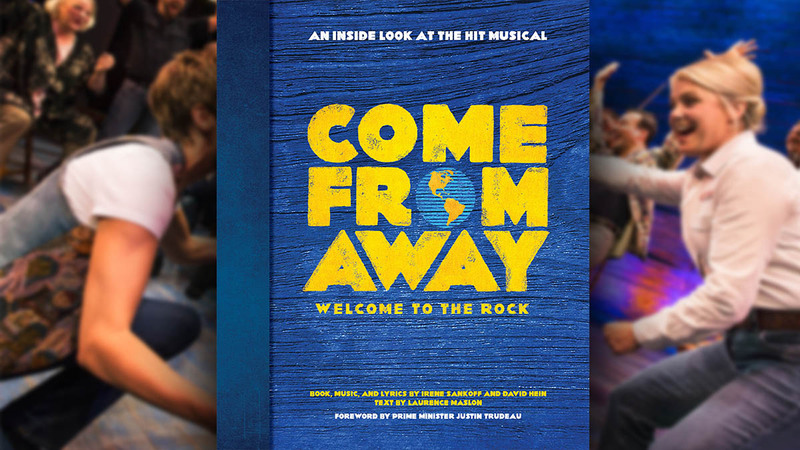 With the support and love of my partner, Danny, my son, and my two bonus daughters, I’ve been able to embark on a special journey with Come From Away, my second family, all of whom realize how blessed we are to be a part of a piece of art like this. Come From Away has become a monumental event in all of our lives, and we would love to share it with you.